Today’s bird nests are awash with an array of lively colors. Magpies often lay reddened eggs, nightingales can produce olive ones, and the great tinamou’s range from deep purple to sky blue. Yet, for over a century, scientists had no idea if their prehistoric ancestors echoed this diversity. The first dinosaur eggs to be recognized as such were discovered in 1923 by an American team exploring Mongolia. Since then, it’s been widely assumed that their shells were either bone white or beige. But a recent study argues that at least some dinosaurs hatched from striking, bluish-green eggs. As New Scientist recently reported, Jasima Weimann—a graduate student working under German paleontologist Martin Sander—has detected two telltale pigments inside the fossilized eggshells of a 66-million-year-old dinosaur known as Heyuannia huangi, a small, beaked oviraptorid. Known as protoporphyrin and biliverdin, these pigments make robin eggs blue and chicken eggs reddish-brown. “This is the first time that [dinosaur] eggshell pigments … have been detected in any fossil,” the researchers says. So where in the chromatic spectrum did Heyuannia’s eggs fall? 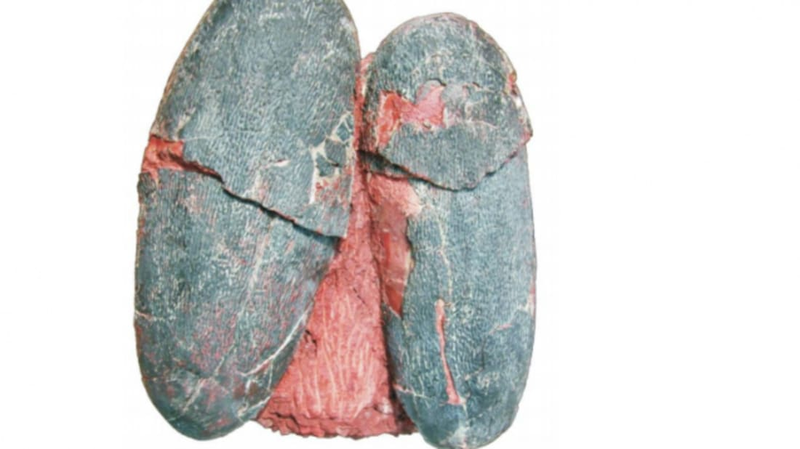 According to the researchers, these had a blue-green hue—which would have made them look rather like emu eggs. Perhaps the animal evolved such shells to conceal its unborn offspring from predators. Theoretically, a mother could step out for some breakfast safe in the knowledge that her clutch was well-camouflaged against a leafy background of Mesozoic underbrush. Also, those distinctive colors would’ve made imposters easy to spot. Some modern birds (like the old world cuckoo) sneakily lay their own eggs in the nests of other avians. Yet, because robins lay blue eggs, they can pick out and eject an intruder’s plainer ones with ease. Maybe Heyuannia used this same trick against lazier dino parents that wanted to dupe it into caring for their own young.